Five maintenance workers died in June 2017 while trying to perform a dangerous task for Tampa Electric. The workers, who were employed by outside contractors, were trying to remove a blockage from a tank beneath the power plant’s boiler. 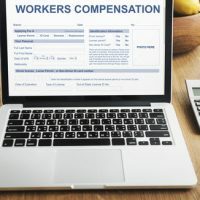 The workers’ families may be entitled to death benefits under Florida’s workers’ compensation law. Coal forms molten ash (called slag) when it burns, and the tank catches that slag and cools it into pebbles. Tampa Electric’s safety guidelines require it to turn off the boiler before performing the maintenance work, but on that fateful day in June, the company left the boiler on. The slag inside the tank can reach temperatures of more than 1,000 degrees. Something went wrong, and slag gushed from the tank. Experts compared the flow to the lava that gushes out of a volcano. The federal Occupational Safety and Health Administration recently concluded its investigation into the incident and issued its most serious type of citation. According to OSHA, Tampa Electric willfully violated its own safety procedures and acted with indifference toward worker safety. Additionally, OSHA issued a “serious” citation for failing to provide workers with the appropriate protective gear. Are the Families Entitled to Death Benefits? Florida workers’ compensation insurance pays death benefits to the eligible survivors of workers who die on the job. The families of the workers killed in the Tampa Electric accident may qualify, but likely not under the utility company’s insurance coverage. Because the maintenance workers were employed by outside contractors, those outside employers may be on the hook for the workers’ compensation benefits including the payment of medical benefits, a portion of the funeral expense and payments to surviving family members that are dependent upon the death of the injured worker for support. It is very important that you provide the insurance carrier with a copy of the death certificate as well as receipts for the funeral expenses. If there are dependents that may qualify for additional death benefits you will need to provide a copy of their birth certificates and in some cases proof of dependency. Employers must pay funeral expenses up to $7,500. They may also be required to provide compensation to the deceased worker’s spouse, children and in some cases parents, siblings and grandchildren. Weekly payments to dependents are based on a percentage of the worker’s salary up to $150,000. Seek medical attention and report the accident to your employer as soon as possible, but no later than 30 days after the injury occurred. It is important that you request medical attention initially from the Employer/Insurance Carrier. You have the right to seek immediate attention at a hospital but follow up treatment should be requested through the Employer and Insurance Carrier prior to seeking treatment on your own. If your employer does not report your injury to the insurance company within seven days after learning of it, then you have the right to report it to the insurer yourself. In fact, you have the right to report the injury to the employer’s workers’ compensation carrier immediately after the injury takes place. If your claim is approved, then you should receive your first benefits check within 21 days after reporting your injury. In the case of a serious injury or death of an injured worker you can file with the Judge of Compensation Claims for a F. S. 440.17 payee designation so that the payments will be made payable to the spouse, family member or guardian should one be required. If your claim is denied, or if you are not receiving the benefits that you are entitled to, contact an experienced workers’ compensation attorney for a free consultation. Loved ones seeking death benefits should take a similar approach. Report your family member’s death to their employer. You have the right to report the death yourself. If your claim is denied, contact an experienced attorney. Contact one of our workers’ compensation attorneys at Ganon & Hessen, P.A. today if you have been injured on the job, or if a loved one has been killed on the job, in the State of Florida. We will determine your eligibility for benefits and help recover the compensation that you are entitled to receive under Florida law. The consultation to speak with our firm is free. © 2017 - 2019 Ganon & Hessen, P.A., Attorneys at Law. All rights reserved.